Chukwuma, alias Innoson is standing trial in a matter between his company and the Economic and Financial Crimes Commission (EFCC). Justice Dada had declared the automobile boss wanted, granting the request of Mr Anselem Ozioko, the lead prosecuting counsel of the EFCC. The News Agency of Nigeria (NAN) reports that Innoson had previously failed to make an appearance in court for his arraignment on Jan. 17, Feb. 9, March 14 and April 25. His failure to appear before the court for five consecutive times informed the issuance of bench warrant. During the proceedings of March 14, it was revealed that Innoson had petitioned the National Judicial Council (NJC) over Justice Mojisola Dada, the judge trying the case. Ozioko in his submission seeking the declaration of Innoson wanted said: “This appears to be the fifth time this matter is coming up before your Lordship for arraignment. “The learned Senior Advocate of Nigeria representing the second defendant (Innoson) is still insisting on taking his application without ensuring the defendant is physically present in court. “The question is, where is the second defendant? Is he too big for the court? Is he too big for the Federal Republic of Nigeria? Is he too big because he has money? Where is he? “What my learned friends, the defence counsel are doing is contemptuous. Earlier, during the proceedings, Ozioko had informed the court that the anti-graft agency will also be taking some steps to ensure Innoson’s attendance in court on the next adjourned date. Counsel to Innoson, Mr George Uwechue (SAN) had requested that the court hear his application despite Justice Dada’s declaration that no application will be heard until Innoson is physically present in court. 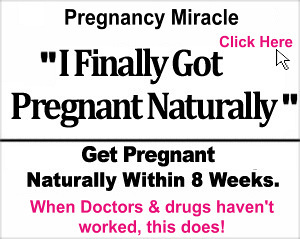 “At the last hearing, the court maintained its position that it will not take its pending application unless the first defendant is arraigned. Prof. J. N Mbadugha, counsel to Innoson Motors Nigeria Ltd, in his submission told the court that he had an application challenging the jurisdiction of the court. Mbadugha informed the court that he had made an appeal at the Court of Appeal over the case. Justice Dada however maintained her position that the applications of the defence will not be heard until Innoson is physically present in court. 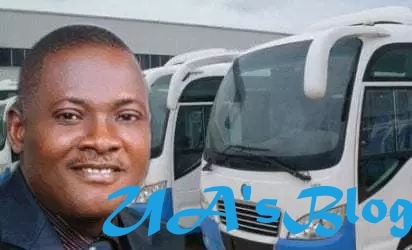 NAN reports that Chukwuma and his company, Innoson Motors Nigeria Ltd., are to be arraigned on a four-count charge of conspiracy to obtain property by false pretences, obtaining property by false pretences, stealing and forgery. The EFCC alleged that the defendants with intent to defraud; conspired to obtain by false pretences containers of motorcycle, spare parts and raw materials, property of Guaranty Trust Bank (GTB) from Mitsui OSK Lines Ltd, Apapa, Lagos.